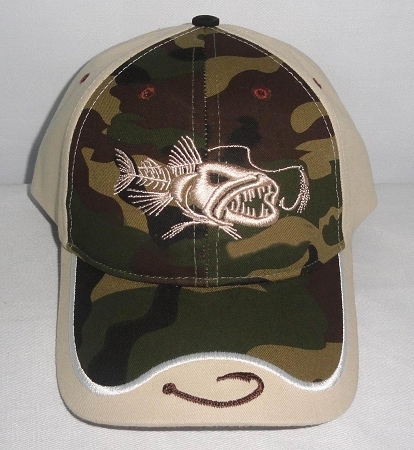 Camo 2-Tone BAD FISH Fishing Cap with Camo inset on a stone cap. 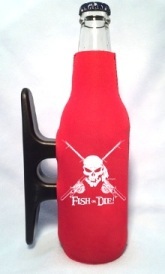 Embroidered with our stunning 'BAD FISH' on front - Comfortable, 100% cotton brushed twill Get Reel…Get Fish! embroidery on rear velcro closure. Awesome Bad Attitude! 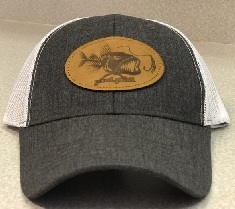 fishing cap if you are Bad enough to wear it!